Closing date for online entries is 22nd January 2013 at 5pm. 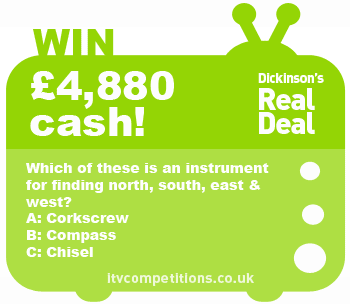 Which of these is an instrument for finding north, south, east & west? Signed John the Baptist bronze statue fetched decent money at the auction…but David Dickinson up’d that to a great cash prize!